Bluewater Avalon, located on Santa Catalina Island. Celebrating their 21st year in business, Bluewater Grill was founded by Rick Staunton & Jim Ulcickas. Bluewater Grill has grown into a family of seafood restaurants, located in resort communities, committed to serving guests pristine quality seafood, sustainably caught, and prepared classically or with a modern twist. They operate their own swordfish harpoon boat, Pilikia, and serve the finest quality locally harpooned swordfish in season. They pride themselves on having built a team of professional, caring and fun staff that will do what it takes to provide a great dining experience that'll keep you coming back time and time again. They're fishermen at heart and want to insure the future availability of seafood and make responsible seafood purchasing a core value of their operation. 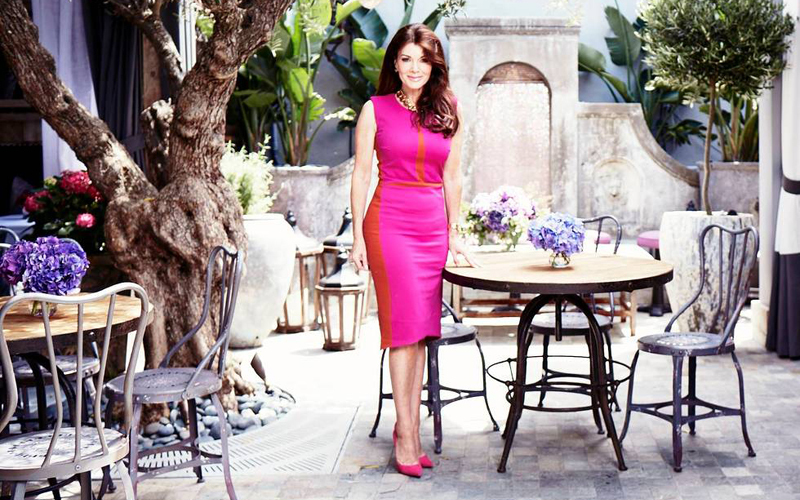 PALM + OCEAN is thrilled to be working with Real Housewives of Beverly Hills & Vanderpump Rules star, Lisa Vanderpump. We currently oversee her Beverly Hills hotspot restaurant, Villa Blanca & namesake West Hollywood Garden & Lounge, PUMP, Vanderpump Dogs, Vanderpump Pets & Vanderpump Rosé. Having such a high profile client has allowed PALM + OCEAN to curate content that has been seen by millions. Villa Blanca, a Mediterranean inspired restaurant with vibrant white decor & plush pillows adorning each banquette is a remarkable restaurant that has been in business for over 8 years..... It's one block away from Rodeo Drive on Brighton Way and has been seen not only on Bravo's Vanderpump Rules & Real Housewives of Beverly Hills, but also MTV's The Hills. Villa Blanca has been frequented by Drake amongst many other high profile celebrities. PUMP, which is currently in its 5th year of operation is located right off of Santa Monica Blvd & Robertson Blvd, in the heart of West Hollywood. This prime piece of real estate has been transformed into a Mediterranean garden, lush with olive trees and flowers, making PUMP a truly unique dining experience. Both restaurants are ranked amongst the top 100 restaurants in America on Open Table and have a social media following of over 400K followers, across social media platforms Facebook, Instagram & Twitter. With over 120K followers, PUMP Restaurant & Lounge has one of the biggest Instagram accounts in the restaurant category, worldwide! Sitting high on a bluff where Route 66 meets the Pacific Ocean overlooking the Santa Monica Pier, The Lobster is an internationally recognized seafood and fine dining establishment. As a landmark restaurant with nearly a century of quality service, The Lobster specializes in Maine and California spiny lobsters, in addition to entrees composed of fresh, seasonal, locally-sourced ingredients. The Lobster is a popular destination for Los Angeles locals, visitors, families and groups looking for the ideal place to enjoy casual fine dining while celebrating special moments in true California style. We invite you to relax, take in the stunning ocean views from our beautifully appointed, glass-walled dining room, and enjoy an unparalleled seafood dining experience. After many years of successful business, The Lobster has become a Santa Monica institution, serving as a cornerstone and internationally recognized landmark adjacent to the Santa Monica Pier. PALM + OCEAN oversees all Digital Marketing, including website design, Facebook, Instagram and influencer outreach. 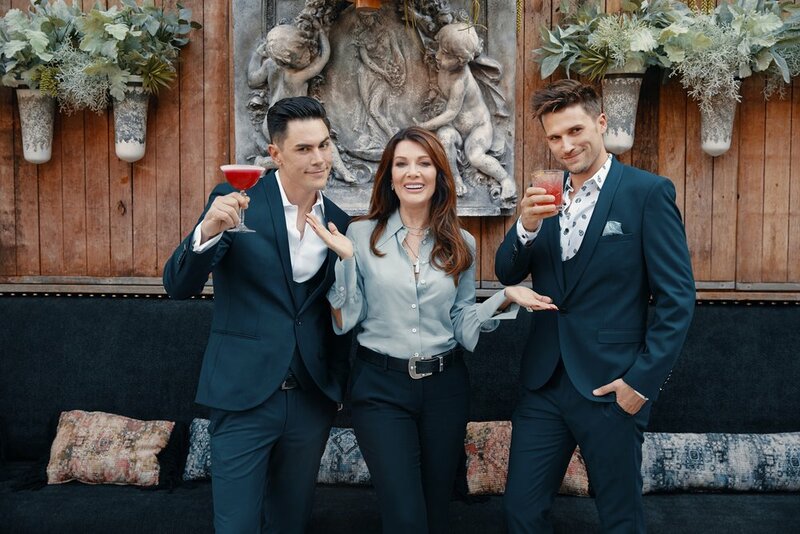 With her new junior partners from BRAVO TV’s Vanderpump Rules, Tom Sandoval & Tom Schwartz, Lisa Vanderpump has added the newest crown jewel to the Vanderpump family’s West Hollywood Empire with their new Restaurant/Bar Tom Tom. Deliciously creative cocktails accompanied by culinary surprises that raise the “bar” in bar food set the tone at Tom Tom. Lose yourself in the ambiance as you’re transported to an exotic land that only the Vanderpumps could create. Since being the Agency of Record for Lisa Vanderpump and her collection of brands since 2015, we have successfully grown her social media empire in excess of 6 million followers, across all her brands. Tom Tom Restaurant & Bar opened in 2018, and we have seen great success in curating a stylized feed to match the romantic & industrial vibe, created by designer Nick Alain. Market Broiler rose from the tradition of California seafood landmarks dating back to the 1950's. It's a casual, comfortable, moderately-priced, full-service, restaurant where fresh fish and seafood are prepared by award winning chefs. The key to its presentation is the fresh fish market, where all fish being served is on display. In addition to 18 unique fish offering daily, entrees of fresh chicken or aged beef as well as signature salads and pasta are offered. The food is flavorful and portions are generous. Their popular sourdough bread is served warm at your table as a part of the meal. Working with clients who have a strong commitment to their craft is such a privilege and we are thrilled to be working alongside them. PALM + OCEAN oversees all Digital Marketing aspects of Market Broiler for their 6 California locations. Since we have taken over in October 2017, they have seen a 300% increase across all social media platforms. In addition to Social Media, we shoot all their upcoming promotions, develop strategic marketing opportunities and curate video content for their website & social feeds. In addition to overseeing their famed restaurant group, we also oversee their Food Contract Catering Service, Provider Food. Provider Food is the #2 ranked Best Food for Universities in California, out of over 87 universities. We currently manage all social accounts, to grow their visibility in the College Dining space, to attract new clients. Located inside the iconic Cromwell Hotel & Casino along the Las Vegas Strip, Giada Vegas is a destination restaurant from famed celebrity chef icon, Giada De Laurentiis. With numerous awards under its belt, under the guidance of Michael Speagle, a veteran in Las Vegas, having run restaurants for celebrity chefs Gordon Ramsay, Guy Fieri & Gaida, Giada Vegas is the crown jewel in the Caesars Entertainment culinary empire. We have had the privilege and honor to work alongside the talented staff to curate videos and capture photography, showcasing her amazing dishes, dining room and unforgettable views of one of the busiest intersections in the world. In addition to curating content for Giada Vegas, we have also secured press in magazine publications LA Travel Magazine & Beverly Hills Lifestyle Magazine. Cin, Cin! NOW OPEN IN THE HEART OF SF.. Located in beautiful San Francisco, CA, Virgin Hotels debuted their newest property by acclaimed entrepreneur, Richard Branson. This unique property was built from the ground up and showcases a mesmerizing lobby, complete with a stylish bar and restaurant. On their rooftop lies one of the most spectacular bars in all of SF! With panoramic views of the city, it will definitely be a place to see, and be seen. The second property in the emerging Virgin Hotels brand, this destination hotel is ideal for tastemakers and travelers alike. 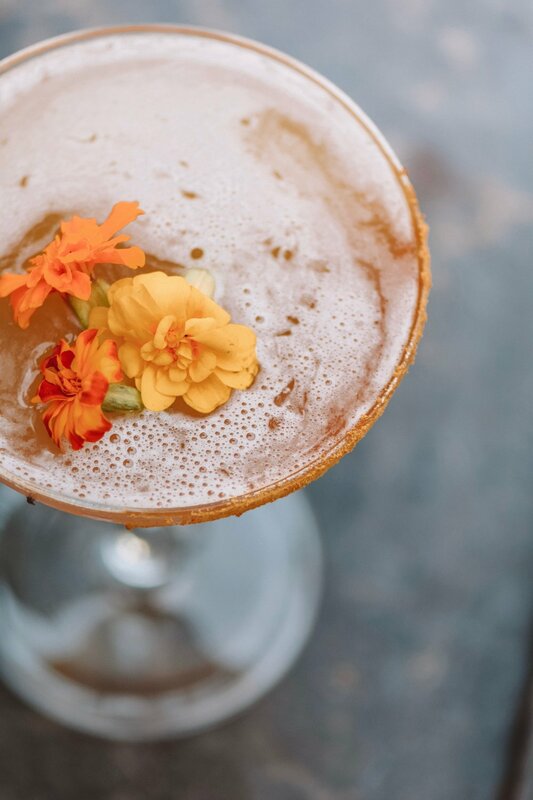 We had the opportunity to collaborate with their Director of Marketing on some fun cocktail videos and captured their Happy Hour, for their “In The Know” guests! Stay tuned for future hotel collaborations like this, as PALM + OCEAN curates memorable content that will engage with followers, while keeping your social media looking as stylish as this boutique hotel!